Home / Services / Mass Fatality Response Planning / Why Use SNA International for Your Mass Fatality Response Planning? Mass fatalities can significantly change the management and oversight of responding agencies. Medical examiners, coroners, and other supporting local, as well as county and state organizations, can be overwhelmed by the complexity and magnitude of work. SNA International has a team of professionals with the expertise and experience to reduce your response time and operational costs when a mass fatality occurs. Following their extensive participation in the 9/11 World Trade Center and Hurricane Katrina victim identification work, the founders of SNA International saw the need for a group of experienced professionals who could help government organizations create and implement mass fatality response plans based on real-world experience. In 2006, SNA identified and brought together the best and the brightest individuals in end-to-end mass fatality management in the disciplines of family assistance, body recovery, morgue operations and information technology. By building a comprehensive team of professionals with hands-on experience, SNA can offer clients the experience and lessons learned from many different mass fatality responses. SNA has helped dozens of federal, state, and local jurisdictions with their mass fatality planning needs. You can see a list of our clients here. At SNA International, we pride ourselves on our ability to deliver consistent, reliable solutions based on a time-proven methodology that places customer needs first. 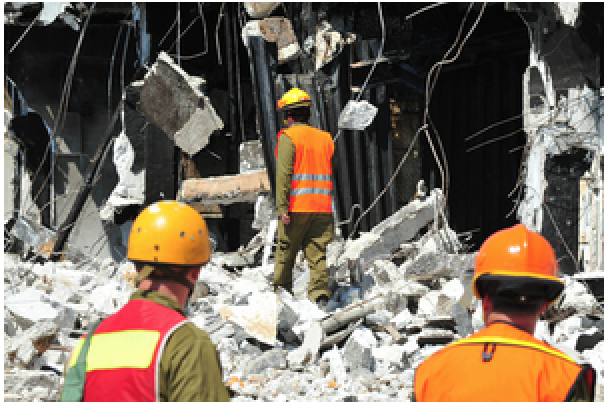 Our experience, coupled with our standardized approach to assessment and planning, will better position your organization to effectively respond to a mass fatality. Contact us for an efficient response plan developed by SNA experts with varied and long-standing experience in the field.